Why has CECOPS been formed? CECOPS has been formed to act as an independent user-led body, and voice, for assistive technology services, and introduce, promote and maintain high standards of services. Promotion of the Code of Practice Scheme amongst all commissioners and providers of assistive technology services. Managing the Scheme, including maintaining a Register of Users. Development of a user accreditation system, for those users who wish to enhance their registration status through external verifiction of the quality of their services. Implementation of an Approved Trainer programme for all staff involved with assistive technology in commissioning and providing organisations. Why has CECOPS been set up as a Social Enterprise? 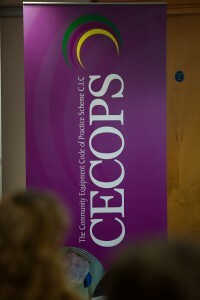 CECOPS is a Community Interest Company, which is a type of social enterprise. Community Interest Companies (CICS) are halfway between a company and a charity. They carry out activities which fulfil a community purpose. A CIC has a “lock” on its assets, which prevents assets (including cash) from being distributed to its members or shareholders. Surpluses are instead reinvested in its business activities or otherwise used for the CIC’s stated community purpose. CECOPS has been formed with a community benefit in mind, not for private advantage. For this reason, a CIC is the ideal business model for this initiative. It is also felt that operating CECOPS as a CIC, rather than a commercial company with a focus on shareholder return, is much more credible to public sector commissioners and providers, which will increase the level of take up for the Code of Practice. This will in turn help us deliver our aims, by increasing the number of users who benefit from the better quality service which will undoubtedly be delivered by applying our Codes of Practice.